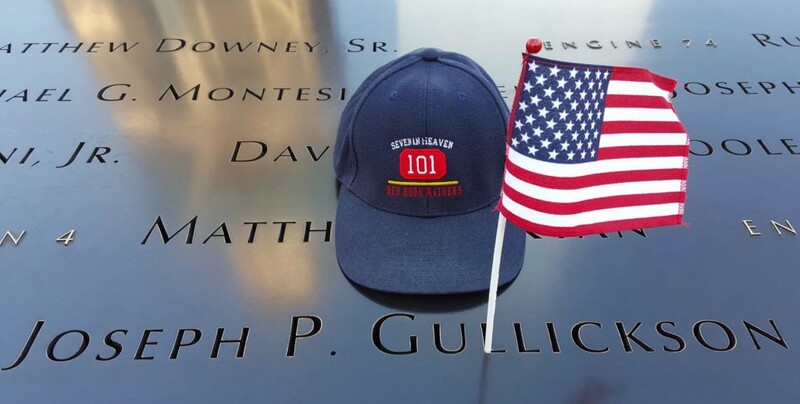 Lt. Joseph Gullickson of Ladder 101 tragically passed away on September 11th during a rescue effort at the World Trade Center. He was survived by his wife Naoemi and his two daughters Amanda and Isabel. Here are some words about Joe. Sept.9th was a lot like any other Sunday for Joseph and Robert Gullickson, a pair of brothers who shared a special bond made even closer by geography. Joseph, a World War II history buff who enjoyed reading biographies of generals who fought in that war, was especially excited about watching “Band of Brothers,” which premiered that night on HBO. But Robert never found out what his younger brother thought of the show, because less than 48 hours later Joseph, a 37-year-old Fire Department lieutenant at Ladder Co. 101 in Red Hook, Brooklyn, led his firefighters to the inferno raging at the World Trade Center. He is one of seven members of his house who remain missing. “Joe was an exceptional officer, always learning, always teaching and, above all, always looking out for his men,” said Capt. Tom Giordano of Ladder 101. Mr. Gullickson, who would have celebrated his fifth wedding anniversary on Sept. 28, was enamored of his young and growing family. Mr. Gullickson loved taking his daughters — Amanda, 3, and Isabel, 1 — on outings to the Staten Island Zoo and Clove Lakes Park, and he was especially proud accompanying Amanda to pre-school. Born in Westerleigh and brought to Todt Hill as a child, Mr. Gullickson settled in West Brighton in 1995. Mr. Gullickson loved dogs, especially Lucy, his Rottweiler, who was bred from a dog owned by his father, Robert. He also was a big fan of the TV classic “The Honeymooners” and enjoyed listening to popular music. The Grateful Dead and Frank Sinatra were among his favorites. A graduate of Moore Catholic High School, Mr. Gullickson was a patrolman with the city Police Department assigned to the 68th Precinct in Bay Ridge, Brooklyn, for three years before joining the Fire Department in 1988. He began his firefighting career at Engine Co. 243 in Brooklyn. In 1995, he was promoted to lieutenant and assigned to Ladder 101. Mr. Gullickson’s brother, Robert, an engineer who works in SoHo and saw the Twin Towers collapse from an office window, made his way to the World Trade Center on the morning of Sept. 11, figuring his brother was at the site. Robert was later joined by his youngest brother, Ralph. The two stayed at the command center until 2 a.m., waiting for word about Joseph. Robert, Ralph and another brother, Thomas, spent the next nine days digging through the rubble, searching for Joseph or anyone else who might still be alive. “We truly believed it was a rescue operation at that point,” said Robert. Mr. Gullickson and Ralph also ran Richmond Lawn Sprinklers, a business their father started nearly two decades ago. The family has installed underground and automatic sprinklers in Gracie Mansion and the Museum of Natural History in Manhattan. He was a parishioner of Blessed Sacrament R.C. Church, West Brighton, and enjoyed playing basketball as a member of the FDNY league. In addition to his wife, Naoemi; his daughters, Amanda and Isabel; his parents, Patricia and Robert; and his brothers, Robert, Thomas and Ralph, survivors include his sister, Patricia Byrne, and his grandmother, Mary Reilly. And were so named in his honor. Always with a welcome smile and a helping hand. That was the ultimate sacrifice you were to make. Always remembered with admiration and appreciation. While smiling down upon us from heaven.